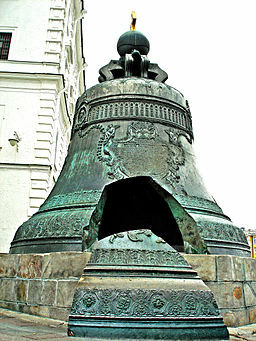 Пластинка is a slang term for a грампластинка (gramophone record) and can be translated as record. Another popular slang term that is still around in both English and Russian is винил, which simply means vinyl. Records were always a big deal in almost any household that had at least a tiny stray of affection for music and some type of a gramophone. Records of groups like the Rolling Stones, Pink Floyd and the Beatles were a huge deal amongst меломанов (passionate music lovers) because they were really hard to obtain, especially in the 60’s and most of the 70’s, the golden years of rock-n-roll. For example one of my relatives was allowed to occasionally travel abroad, and always brought back a couple of Led Zeppelin and Beatles albums for which people always offered him serious rubles. The main reason for this is because a lot of western music was considered to be ideologically inconsistent with the morals of the state and was largely frowned upon by the government. The biggest Soviet record label Мелодия (Melody), at first didn’t distribute certain albums and songs that were widely popular in the West at the time. 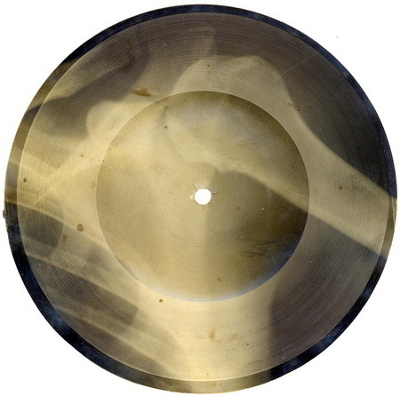 In return, people found creative ways to get around this dilemma, like “burning” music onto records made out of large X-ray prints, known as запись "на костях" (recording "on the bones"). Fortunately by the mid 80’s, the restrictions began to faded off, finally warranting people to listen to what they liked and allowing numerous Russian rock bands like Кино and Зоопарк to go mainstream. Photo of a record "on the bones." The music was recorded onto someone's X-ray print. I think I'll make one out of my grandfather's lung shots. B фильме “Зомби по имени Шон” есть сцена, где два главных героя метают свои пластинки в большого уродливого зомби. In the film “Shaun of the Dead” there is a scene where the two protagonists are throwing their records at a big ugly zombie. B моей коллекции имеется много редких пластинок, за которые мне постоянно предлагают очень большие деньги, но я их не собираюсь пока продавать. My collection includes many rare records for which I am constantly offered large sums of money, but I’m not planning to sell them for now. Тело нашли на кухне под столом, убийца не взял ни денег, ни драгоценностей, нo супруга умершего сказала, что пропала пластинка Ramones "Ракета в Россию". The body was found in the kitchen under the table, the killer did not take any money or jewelry, but the spouse of the deceased said that the Ramones "Rocket to Russia" record is missing. В принципе я люблю классическую музыку, но, правду сказать, я только слушаю попсу. In theory I like classical music, but to tell the truth I only listen to pop. Признаваемая всеми королева русской попсы — это Алла Пугачёва. Alla Pugachova is the undisputed queen of Russian pop music. Billy's Band has come up with something halfway between sweet pop music and cynical delirium. One of the best thing about this decade is that it's easy to find a lot of current Russian music on the web. The links in the sample sentences above will take you to some pop music. ¹ Sentence adapted from this source. The Russian word for orchestra is оркестр. Listening to a live orchestra is a very relaxing and enjoyable activity that many people take part in. It is important to have a good balance of different instruments within the orchestra to obtain the best sound quality. These instruments include the violin скрипка, viola альт, cello виолончель, and bass басовый. During high school, I was involved in the orchestra for four years. During these four years, I became a very good violin player and sometimes, my teacher said «Оля, как ты хорошо играешь на скрипке!» “Olga, how well you play on the violin!”. Because our orchestra consisted of very good players, we were fortunate to travel and compete against other high school orchestras. One day during class, our teacher told us «В конце года мы все поедем на Гавайи, чтобы соревноваться с другими школами!» “At the end of the year, we will all go to Hawaii to compete with other schools!” When I came home that day, I was very excited and began practicing hard to make sure that we get first place at the competition! Don's additional notes: басовый can mean any of the bass strings. If you specifically want to indicate the double bass (contrabass), then you say контрабас.